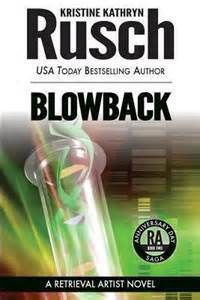 Blowback is Book 2 of the Anniversary Day Saga by Kristine Kathryn Rusch. 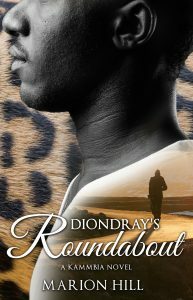 This novel continues into the exploration of the Moon’s Anniversary Day attacks that happened in Book 1 of the saga. As a result of the attacks, Moon’s Chief Security Officer Noelle DeRicci is trying to hold the remaining vestiges of the government together and learns more information about the attacks that could crumble everything. Meanwhile, Retrieval Artist Miles Flint has become displeased with the investigation into the attacks and decides to conduct on his own investigation using contacts from both sides of the law. What he learns will shock him and begins to realize that the Anniversary Day attacks was just the tip of the iceburg. As usual, Rusch creates a credible, solid science fiction thriller with plenty twists and turns to keep a reader guessing right to the very end. However, I see Blowback as more of a transition book in this saga. It is a solid read but I would suggest that newcomers start with Anniversary Day before reading Blowback. Recommended.